How to run a coal fired boiler at the best efficiency is a problem that all of managers concerned. You can get a lot of benefits if you run a coal fired boiler at the best efficiency. For example, you can cut your company financial expenses. 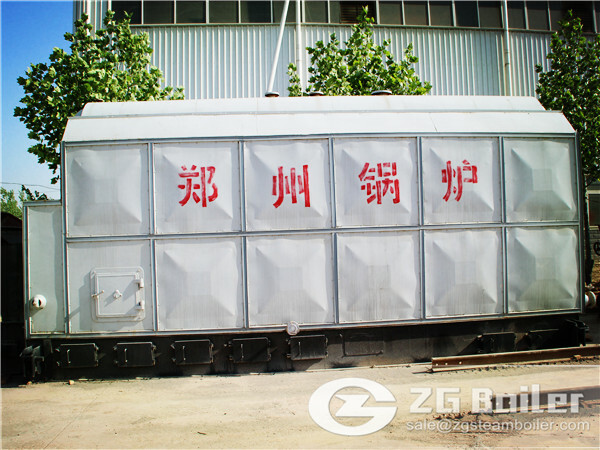 Coal fired boiler efficiency is mainly depended on the amount of losses in the system. In high capacity pulverized coal fired boilers the total losses account to about 12 to 14%. Roughly 50% of the losses are governed by fuel properties like hydrogen in fuel, moisture in fuel and ambient air conditions. The other 50% losses are carbon loss and dry gas loss. The best efficiency in the coal fired boiler can be achieved if the losses are kept to the minimum. Since 50% of the losses are dependent on the fuel and ambient condition, the best efficiency can be achieved by properly tuning the other 50%, i.e. mainly carbon loss and dry gas loss. The factors having the greatest influence on carbon loss are the boiler type, volatile matter content in the coal, furnace heat loading (heat input/furnace volume), mass fraction of pulverised coal smaller than 75 mm and excess air. The dry gas loss accounts to about 40% of total losses. Dry gas loss is due to the heat carried away by the flue gases leaving the boiler. Today many of the boiler designers reduce this loss by recovering the heat after low temperature superheater by larger economizer and air pre-heaters. As designers go for lower and lower exit gas temperature the size of air pre-heaters go up. This analysis can help you to run a coal fired boiler at the best efficiency. If you still have some questions about how to run coal fired boiler at the best efficiency, please contact us. Our online service can help you.